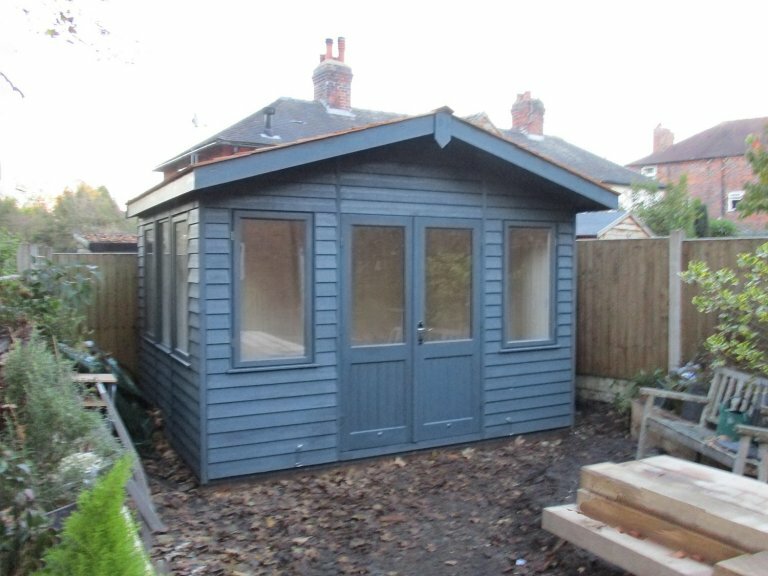 Selected by a customer from our range of high-quality timber garden studios, this stunning Binham Garden Studio was recently installed for a customer based in Crewe, Cheshire. 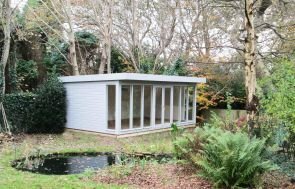 Measuring 3.6 x 3.0m, the studio was designed and built by hand at our Norfolk factory before being both delivered and installed at the customer’s address by our in-house team of fitters. The building has an apex roof covered with stunning cedar shingles and boasting a small overhang that provides the double access doors with both shelter and shade. 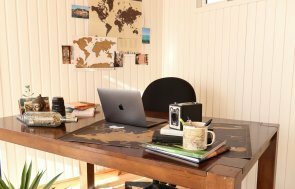 All windows are conveniently desk height due to the most frequent use of the building being for office purposes, and open to allow for ventilation and natural light. The exterior is clad with rustic weatherboard and painted in the opaque shade of Slate, which was selected by the customer from our range of exterior finishes, including a Farrow & Ball palette and bespoke colour-matching service. Internally, the studio comes both insulated and lined in the walls and ceiling as standard, with the option to paint the pine lining. Our customer here has painted pine lining in the shade of Ivory, along with an electrical pack installed so that lighting and appliances can be used and enjoyed. The electrical pack includes four internal dual sockets, as well as an external waterproof dual socket and interior lighting with a gang light switch. 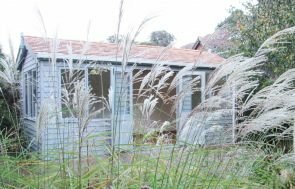 In order to take a closer look at our high-quality range of garden buildings, we recommend that you pay us a visit at your nearest show site where there is up to 25 different display buildings and a team of friendly advisors on hand to assist you. You can locate your nearest show centre here, or alternatively, get in touch with us on 01760 444229.